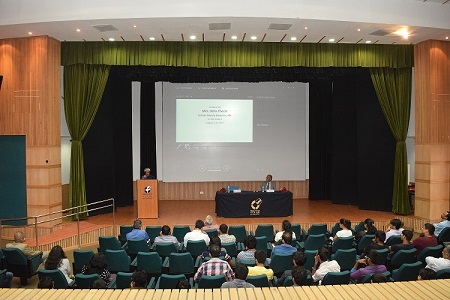 In the memory of Late Mr. Nani A. Palkhivala, the famous legal luminary, author, business leader, orator and diplomat; IIM Indore organized a guest lecture on August 11, 2016. 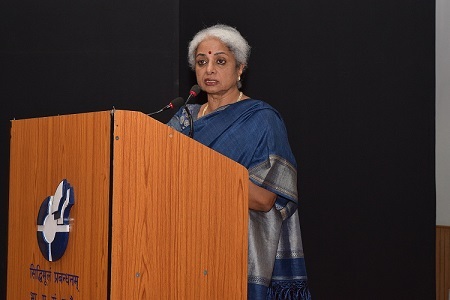 Mrs. Usha Thorat, Former Deputy Governor, Reserve Bank of India was the Guest Speaker for the event. She delivered a lecture on the topic ‘Demystifying RBI’. Mr. S. Divakara, Director-General, Nani A. Palkhivala Memorial Trust was also present on this occasion. Professor Ganesh K. Nidugala, Dean (Academic) welcomed the guests. 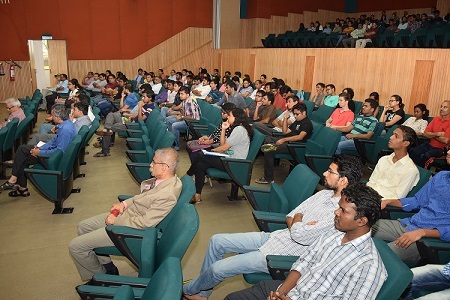 This was followed by the attention-grabbing talk by Mrs. Usha Thorat. Mentioning about Mr. Palkhivala, she noted how his contribution to the constitution means a lot to the country. ‘Mr. Palkhivala had a radiantly multi-faced personality. Being talented in a unique way, he captivated thousands of listeners to his discourses, which enthralled everyone present there. His talks were so thought-provoking that had he be present today, every talk would have been telecasted nationally and internationally’, she said. She said that Mr. Pakhivala believed passionately in educating the youth and such discussions and debates conducted in IIMs and IITs give a chance to find a solution to the issues the country is facing or might face in future. Speaking on the topic ‘Demystifying RBI’, Mrs. Thorat discussed the role of RBI and it’s relation with the government. She also discoursed about the monetary policy and how it affects the growth, financial stability and inflation. She discussed about the monetary policy infrastructures, comparing the Indian monetary policies with the ones in foreign countries. ‘Why is it that in countries like Japan, with zero percent interest rates, there isn’t any visible growth? These are the types of questions which need to be raised and to be learnt from; for the stability of Indian economy’, she said. She also conversed about relation between Central and Reserved Bank and their work pattern; and how it is always a live issue. ‘Questions like how balance can be created between savers and borrowers, what are the effective regulators in other countries, and how the payment system can be secured and controlled; need to be raised among the youth to find an answer, relating to the current scenario’, she concluded. This was followed by a Q&A session with the participants. 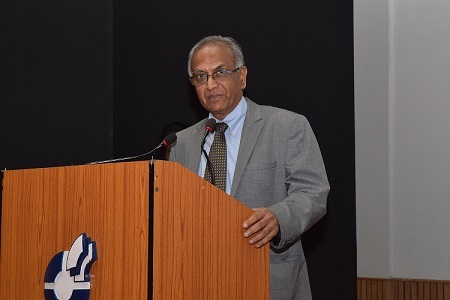 Mr. S. Divakara, Director-General, Nani A. Palkhivala Memorial Trust also thanked Mrs. Thorat for her speech and appreciated IIM Indore for organizing a guest talk. He said that such talks when conducted at institutions like IIMs would help the young minds evolve as leaders who would play a significant role in the Indian economy.